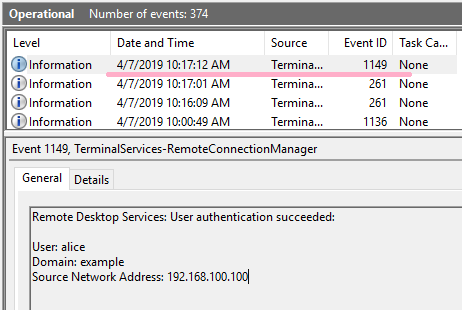 If NLA(Network Level Authentication) is enabled for RDP connection, event ID 4624 logon type 3 will be recorded in the security log. Is there a way to determine the event ID 4624 logon type 3 recorded by NLA? 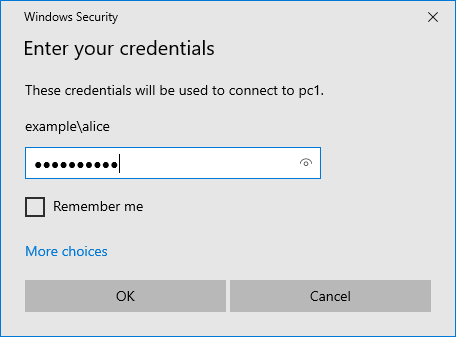 Configure RDP in a test environment (Windows 10). 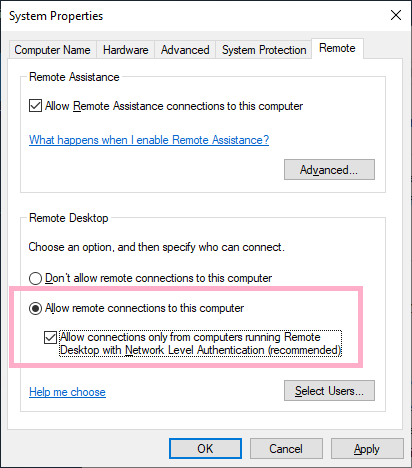 Enable NLA in RDP settings. Connect to Windows 10 with MSTSC.EXE. Certification is required by NLA. 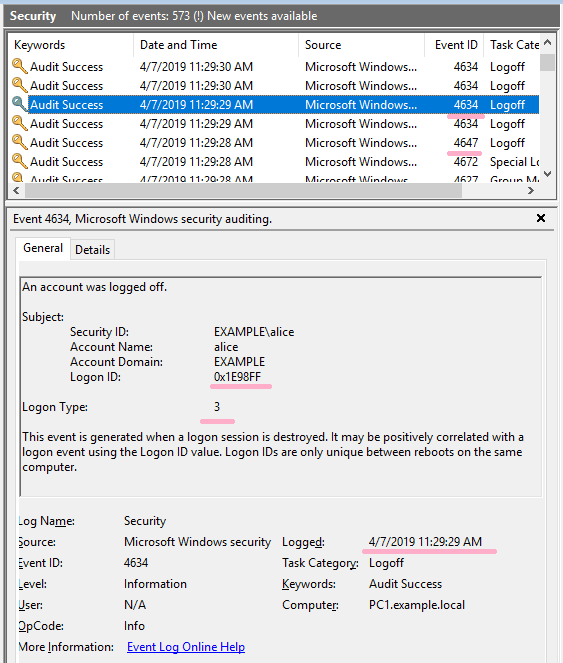 Event ID 4624 Logon Type 3 is recorded in the security log when I enter the correct authentication information. Event ID 4624 Logon Type 10 was recorded as the RDP connection was successful. My question is, can I link this event to the NLA event ID 4624 Logon Type 3 record? Unfortunately, Logon ID can not connect two events. Let's check the event log related to RDP. ID 1149 is recorded at a very similar time to "ID 4624 logonType 3". Arrange three events in time order. Although the timestamps do not match exactly, I can confirm that they are very close values. Is there any information that links ID 1149 other than time stamp? I tried to compare the Correlation values, but this is not the same. Let's include the log of "Microsoft-Windows-TerminalServices-LocalSessionManager". 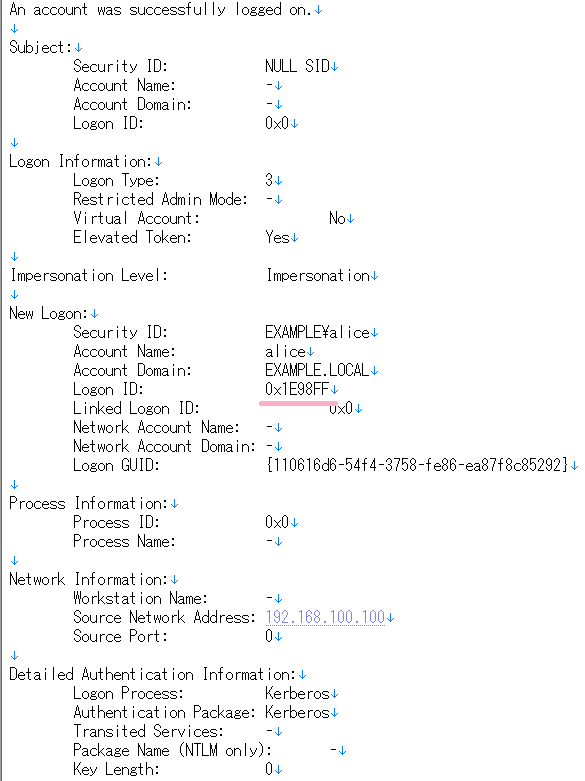 When I sign out of RDP, Event ID 4634 logon type 3 is recorded. You can associate the ID 4624 with the Logon ID value(0x1E98FF). Let's arrange the log of "Microsoft-Windows-TerminalServices-LocalSessionManager" and ID 4634 in order of time. 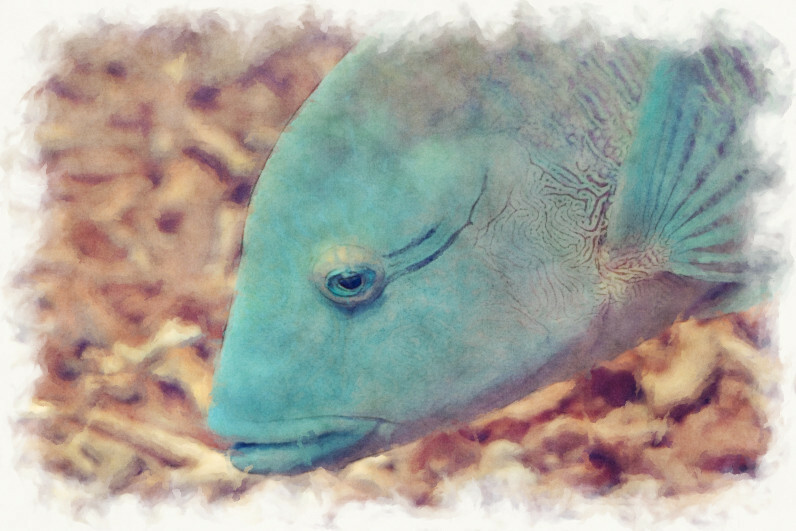 2019-04-07T11:29:29.474687900Z ID 4634 An account was logged off. 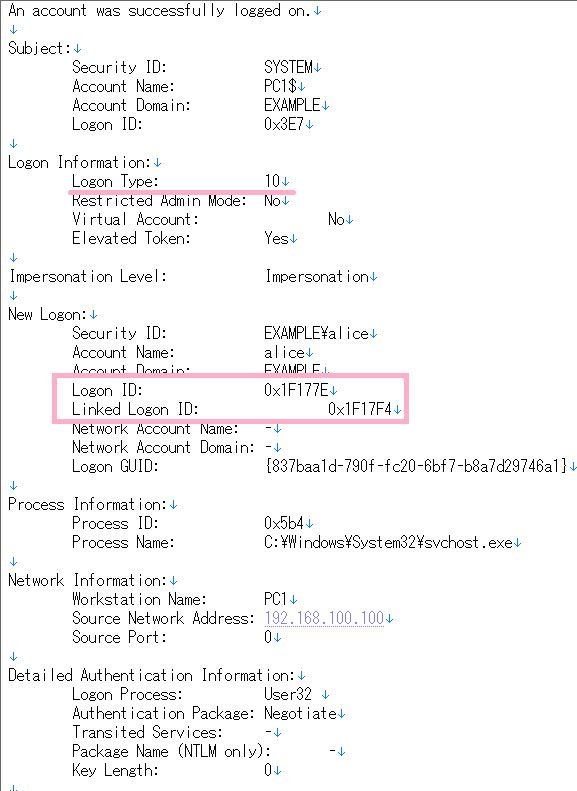 Is it a good idea to link ID 24 and ID 4634 with a timestamp and search for ID 4624 by Logon ID?